Ireland pictures from Achill Island and Co Mayo, Ireland. These picture galleries on Achill 24/7 show photographs taken on Achill Island and surrounding areas in County Mayo on the remote west coast of Ireland. 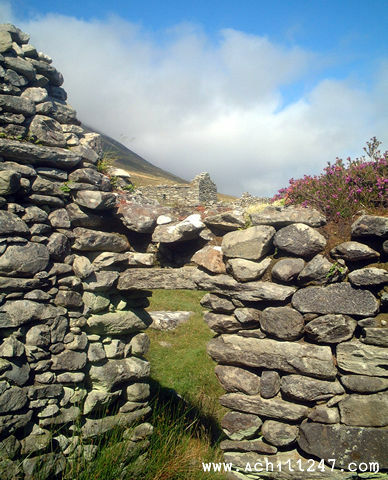 Gallery 4 features pictures from the deserted village at Slievemore, Achill.